Find out who you really are and accept this person. What else can you do? The writing opens with a poem by Richard Wright from which the title of the book is lifted, this quickly sets the tone of Coates' part letter, part memoir to his son. Poetry imbued with passion; there is a delicate duality, a double consciousness as Coates moves chronologically from a teenager in Baltimore, to a student at Howard (The Mecca), into a career as a writer, and lastly as a father. Between the World and Me explores and listens for the subtext: facts, feelings, values and opinions on the meaning and value of black bodies. The narrative lives between his story and history. An important voice, effectively communicating a point of view many share considering the current state of these United of States where black American lives are being numbered, a devaluation. There are no grand antidotes on overcoming or defeating racial prejudice, Coates views race itself as a restatement and retrenchment of the problem. I appreciate this approach as it charges us not with saving the Souls of Black Folks but remembering who we are-who are you?, to survive … to stay woke. I read this twice, purchased an electronic version for my Kindle and purchased a hard copy for the collection, goals. 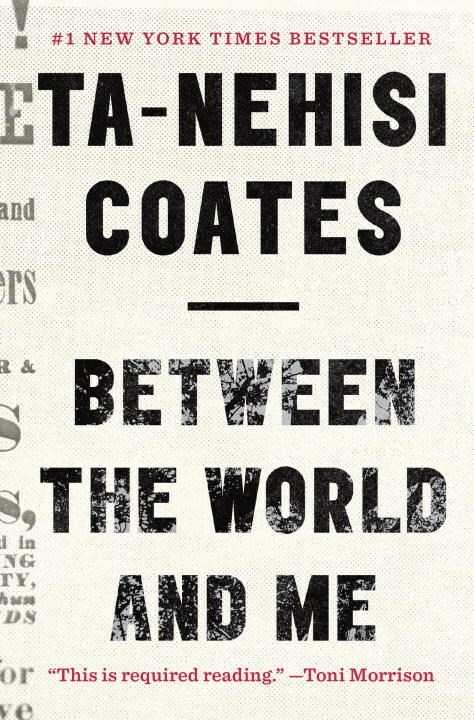 I love this book, I would rate it five stars for the way Coates writes from his soul on that merit alone. Between the World and Me should be required reading. Today's post was written by Brian Tramuel. Brian lives with his wife Michelle, their children Geneva and Brian, and their cocker spaniel, Maestro, in the Queen City of Charlotte. He talks about money at RetirementSavvy.net and life at Tramuel.com..